Spend a day with Shelley Weisberg exploring the balance between hardiness & fragility in the plant kingdom hiking one of the premier gateway peaks to the Upper Skagit Valley. 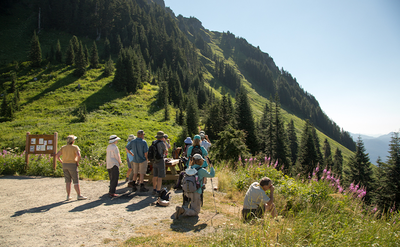 During the hike, we will be exploring the connections between the subalpine plants, pollinators, seasons and how climate change can is having a profound effect on this ecosystem. Join us for a wildflower wander in the heart of summer!